What we called a ‘free for all’. A disagreement here, with no clear winner but lots of action. 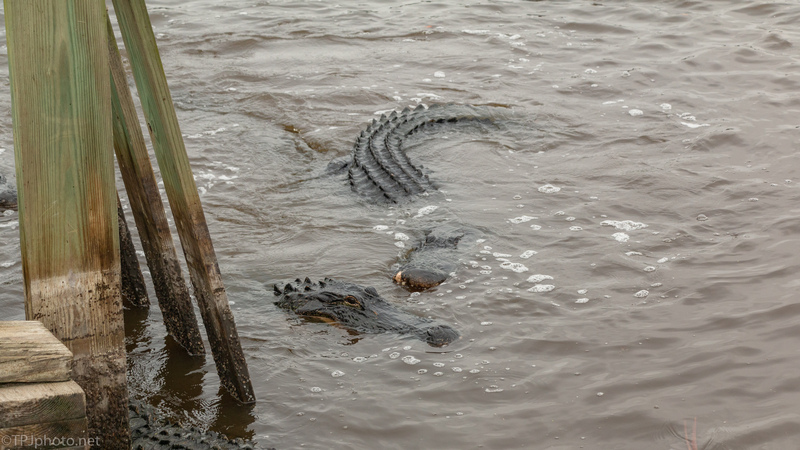 I have a large number of interesting Alligator images (at least I think so) all taken from very close range. The trunk (dike) was open and many large ones were feeding at the same time. I was lucky to be there and could stand on the wooden gate, in the fray but safe above it. These photos will be part of an ongoing series ‘On The Trunk’. 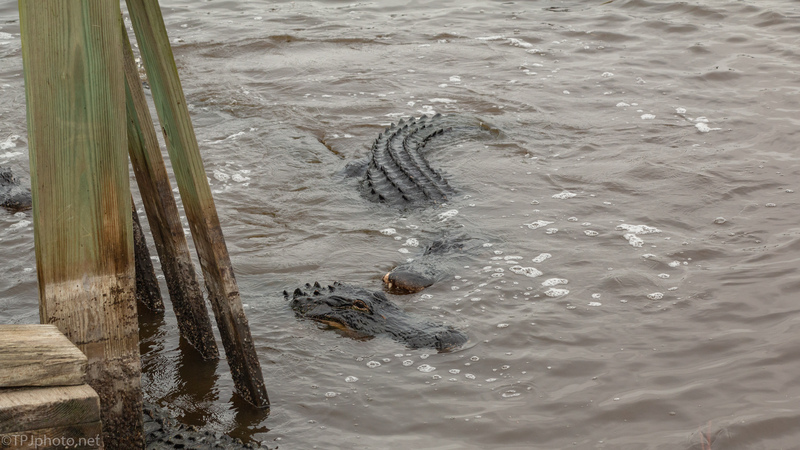 This first part is when close Alligators got a little ‘too close’. Snapping and splashing, more noise than anything else. But I was standing right there, a few feet away, so it got my attention. The wooden structure is the gate system that allows water to flow through the dike, between marshes. It’s the same method and system that has been used around here for 300+ years. 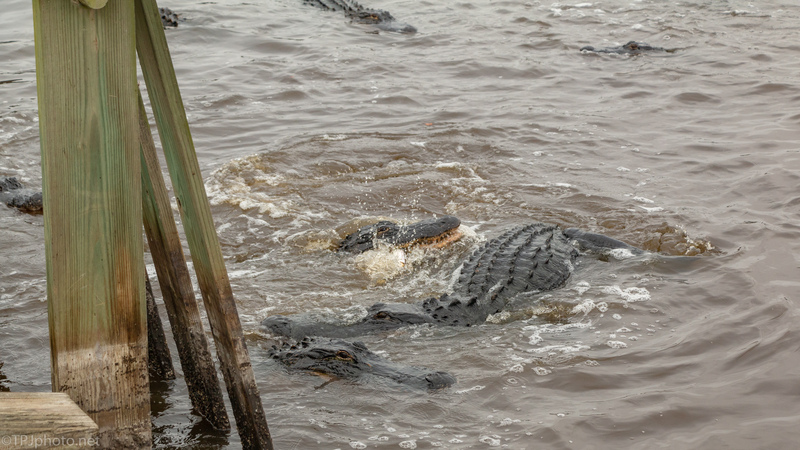 The tussle was over as soon as the Alligators gave each other a little space. Very little, fish were still there. Click here to view the third article.